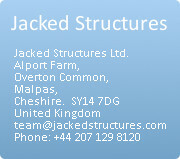 Jacked Structures is an engineering consultancy providing clients world-wide with solutions for creating underground structures without disruption. James Thomson formed the company with his colleagues to harness our extensive experience and expertise in this field. James Thomson has unique experience in this field having pioneered pipe jacking techniques for installing pipes he went on to develop and adapt these methods to install subways, large culverts and traffic underpasses. He developed and patented a number of techniques when working with a major international contractor. 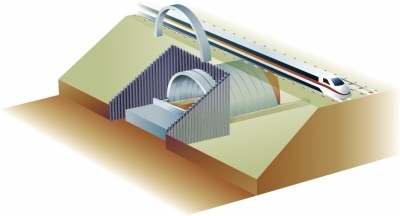 Subsequently he set up an international consultancy undertaking work in the underground infrastructure where jacked structures formed part of the expertise. During this period he continued to undertake projects and develop new methods. He has continued to work as an independent consultant for a wide range of international clients with much of the focus being on the conception and installation of underground structures culminating in the formation of Jacked Structures Group. Originally, and to this day, large cast in-situ concrete boxes are jacked off launch platforms and continue to provide in the right situations useful solutions. The challenge of providing different forms of structures, larger dimensions and over greater length has lead to the development of new methods. These methods have a number of advantages in the control of safe working, line and level control, mitigation of soil movement and settlement. Several of these methods are covered by international patents granted to James Thomson. We also have extensive experience and expertise in pipe jacking and microtunnelling for the installation of large diameter pipes up to 5m in diameter. "Detailed information on different approaches will be found in the section on "The Techniques"